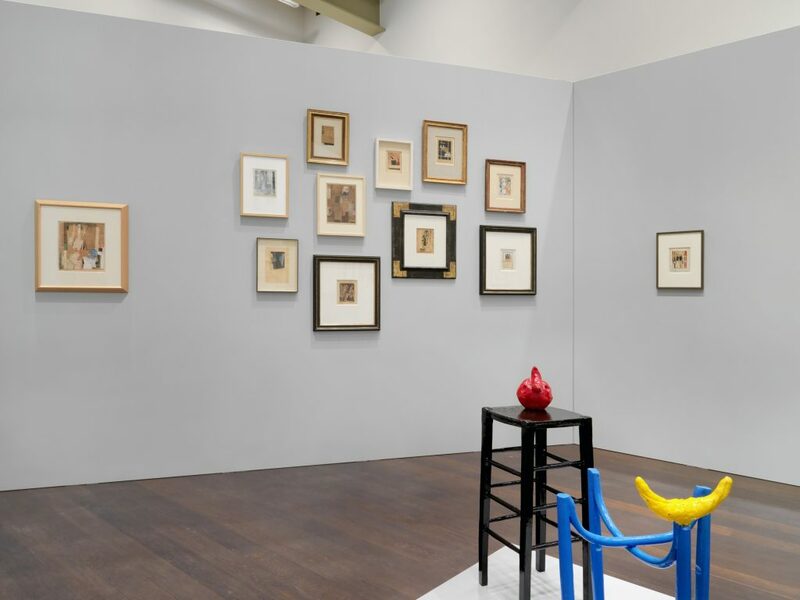 To celebrate the centenary of the Dada movement in the city of its birth, Hauser & Wirth Zürich is pleased to present the first-ever comprehensive exhibition of the renowned Dadaists Kurt Schwitters (1887 – 1948) and Hans Arp (1886 – 1966), in the context of works by the Spanish painter, graphic artist and sculptor Joan Miró (1893 – 1983). 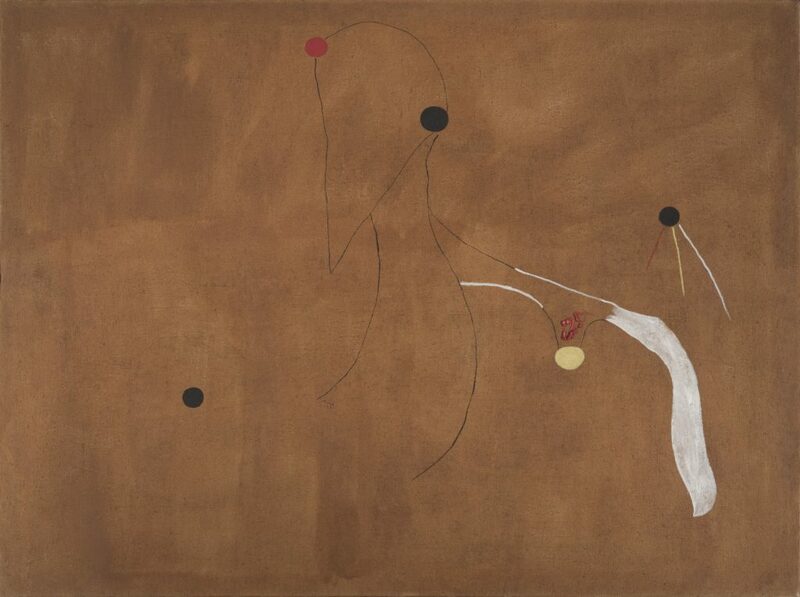 ‘Schwitters Miró Arp’ runs concurrently with the 11th iteration of Manifesta, which is taking place in Zurich. From the turn of the century, these three artists were united by the impulse to renew and transform art. 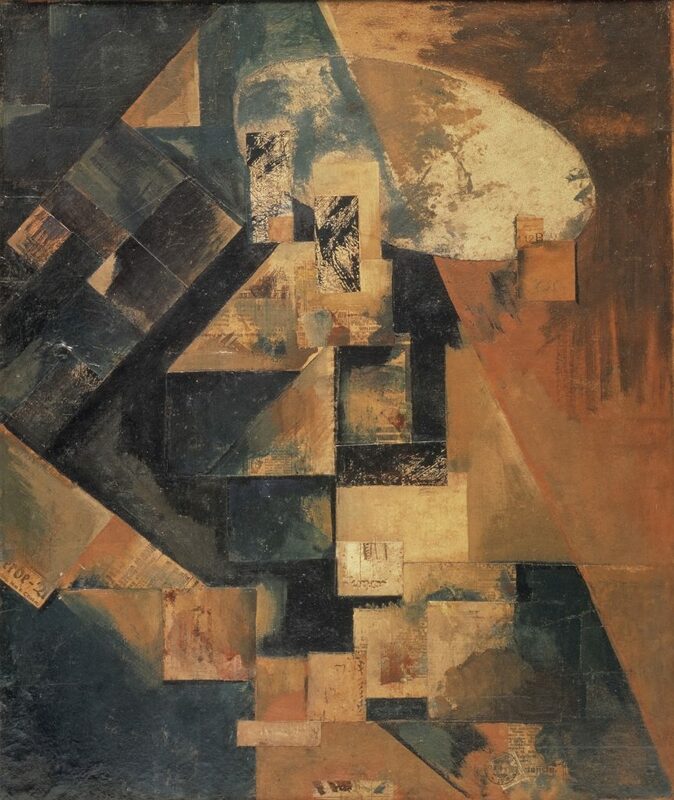 Building on the achievements of Cubism, they pursued this goal through experimentation with collage and assemblage, generating radical new ideas to confront a Europe characterised by the catastrophe of war. 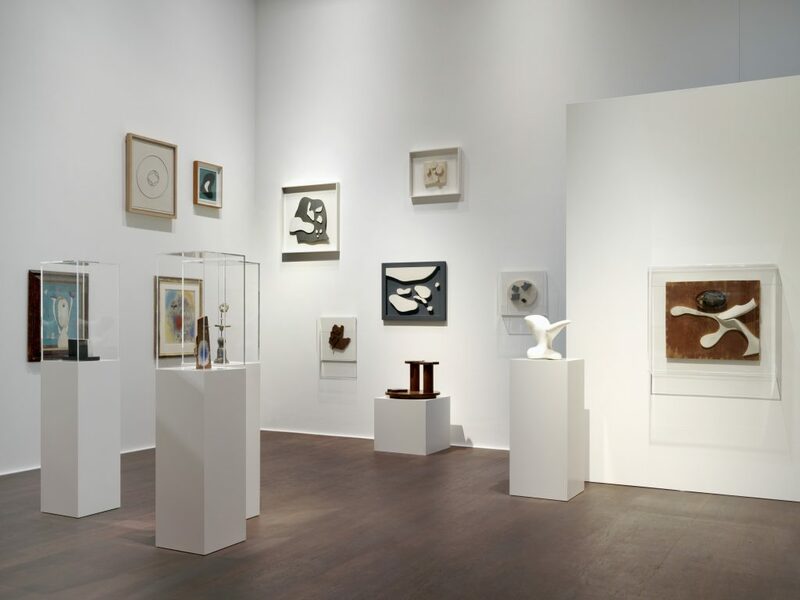 In 1918, Schwitters and Arp developed a close friendship founded on a lively exchange of artistic ideas. 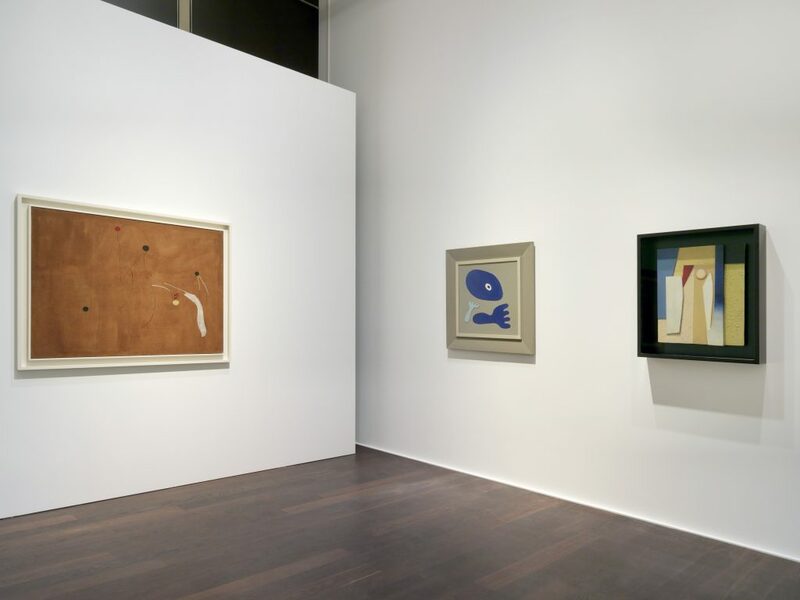 In 1926, Miró and Arp shared a home in the Les Fusains artists’ colony at Rue de Tourlaque 22 in Paris, where Schwitters also travelled each year, and most frequently between 1929 and 1932. 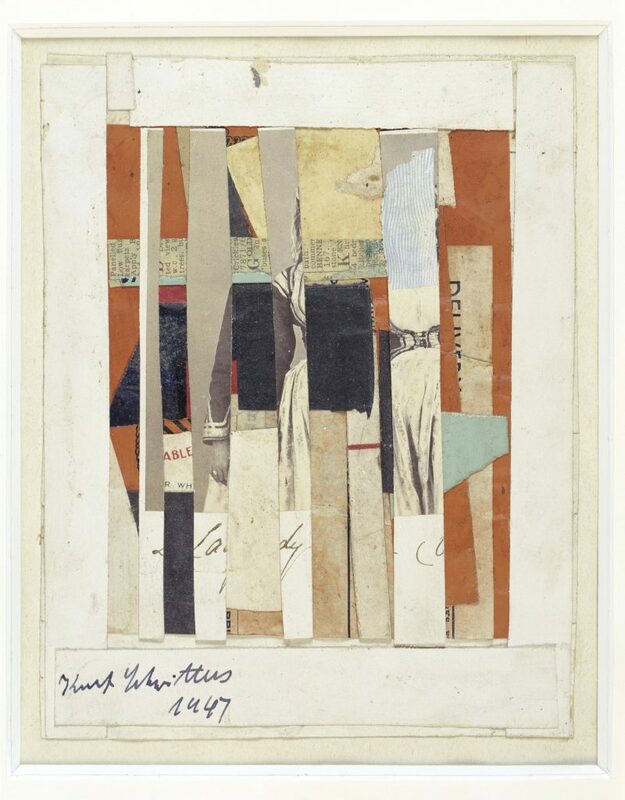 Arp had first become acquainted with collage in 1914 in the studio of Picasso; he conveyed the new technique to Schwitters during their time together in Paris and it went on to become an essential facet of Schwitters’ oeuvre. 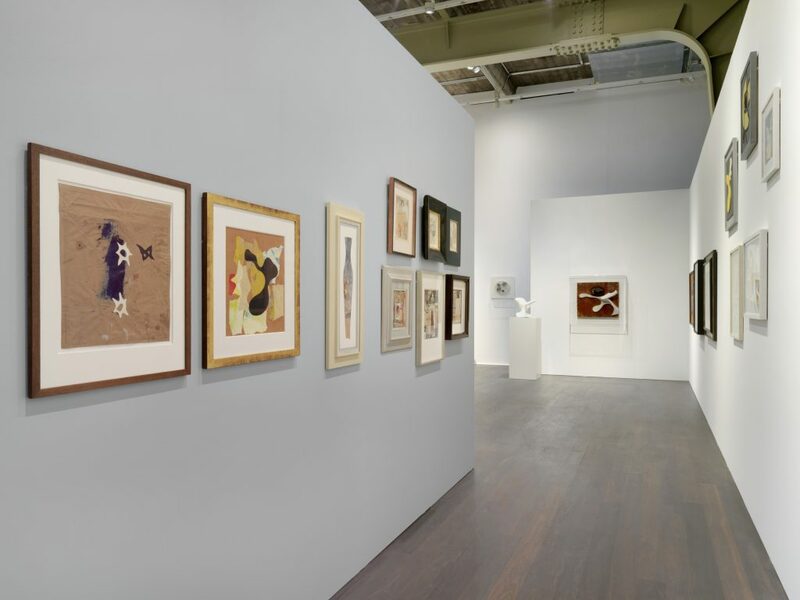 In turn, Miró’s experiments with the assemblage of everyday objects in the late 1920s were strongly influenced by Schwitters, Arp and the Dada movement. Each of these artists shared an interest in the fusion of painting and sculpture through the art of assemblage. 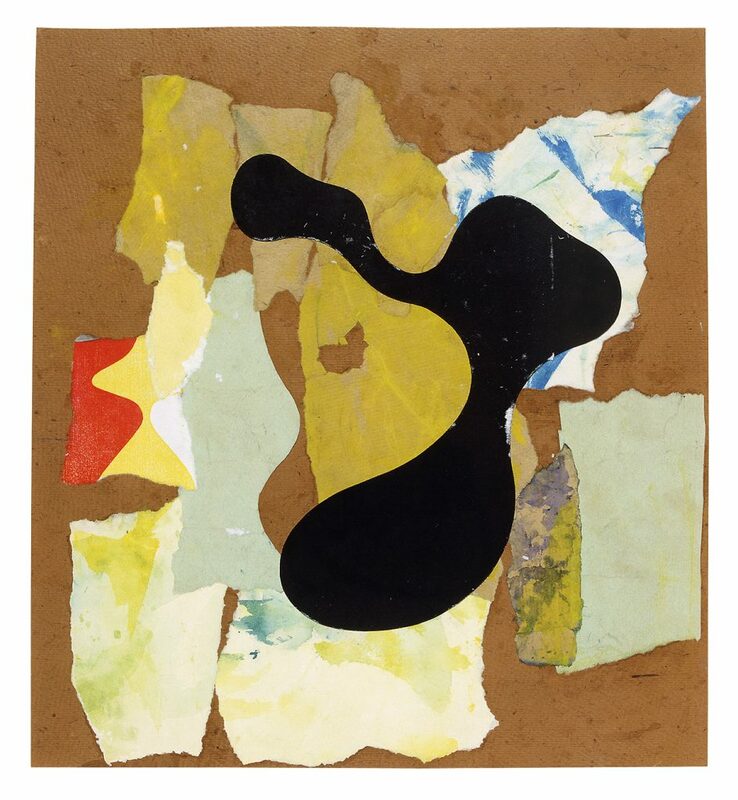 While Schwitters dramatically expanded the artistic frame of reference with his Merzbilder, particularly through the use of materials found on the street, and Arp continued to develop his abstract organic reliefs, Miró found his own raw yet poetic way of engaging with the material. 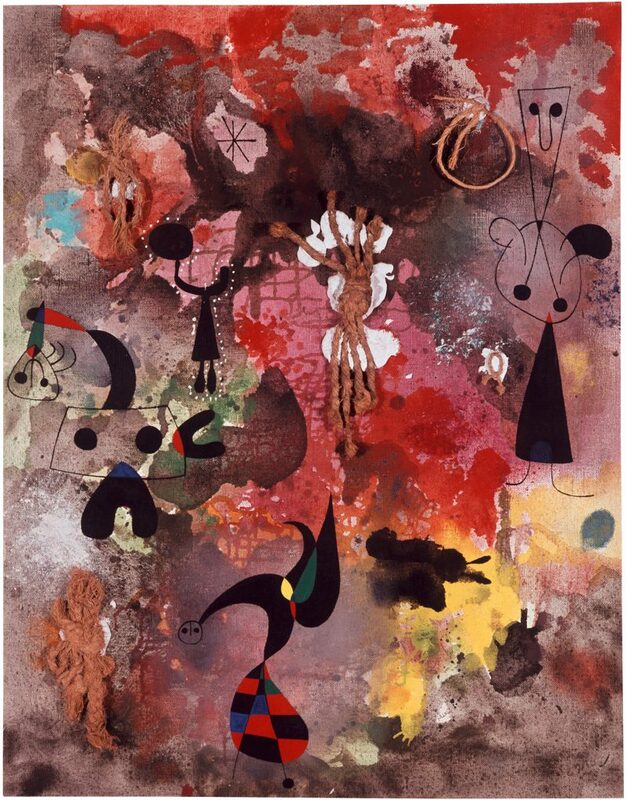 Miró’s play with geometric and organic forms can be interpreted as a link between the artistic expression of Schwitters, who had already begun to distance himself from the reproduction of natural forms in 1918, and the biomorphic compositions created by Arp. Their mutual influence upon one another resonated throughout their careers and into their late works. This extensive exhibition is dedicated to the re-evaluation and rediscovery of three fascinating personalities from art history who instigated a material language that continues to inform contemporary art today. 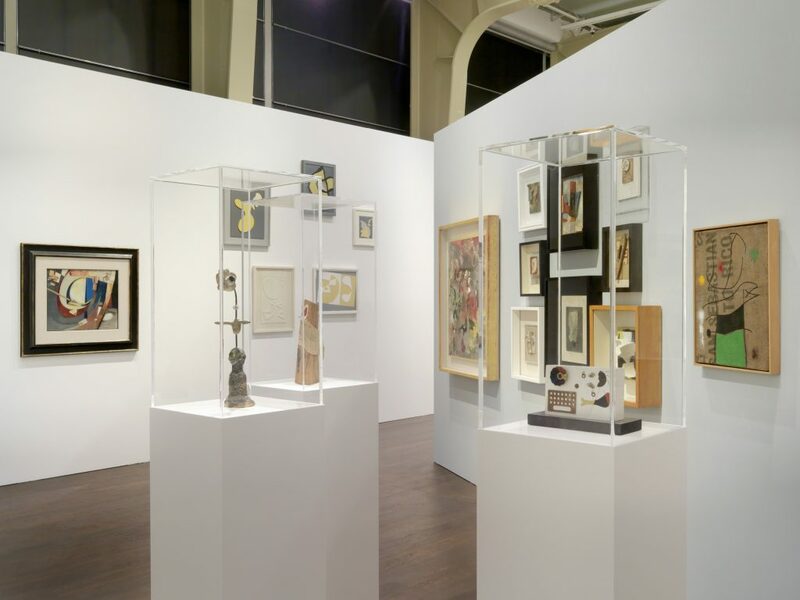 Comprising over 100 key works from American and European museums as well as international private collections, the show offers new perspectives on Schwitters, Miró and Arp, as well as a deeper insight into Dada and Surrealism. 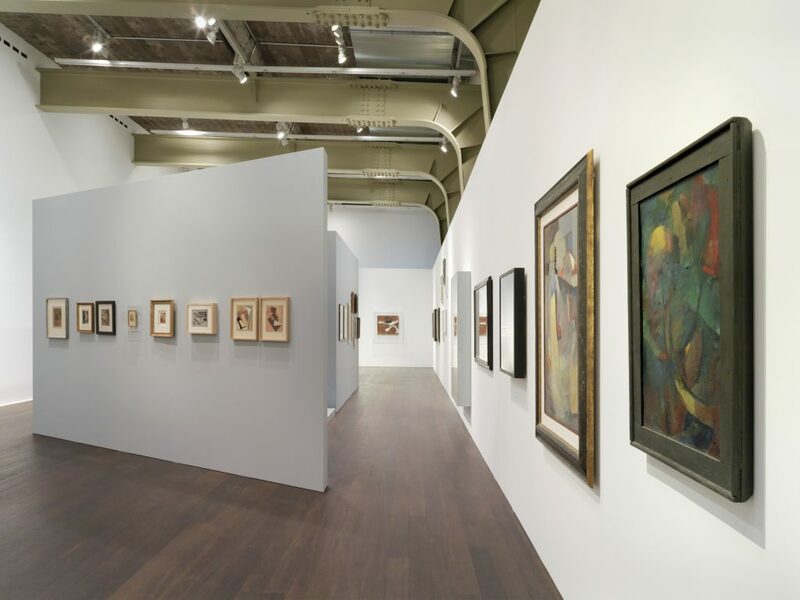 Highlights include Arp’s painting ‘Teller, Gabeln and Nabel’ (1923); a 1933 drawing-collage by Miró and an early example of Schwitter’s Merzbilder – ‘Merzbild 1B Bild mit rotem Kreuz’ (1919). 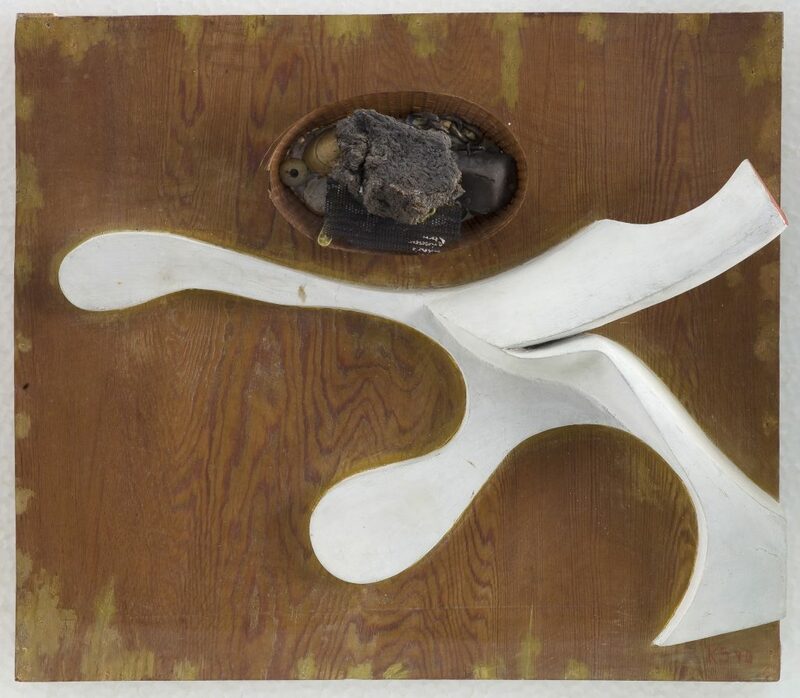 ‘Teller, Gabeln and Nabel’ has its source in Dada’s idealistic concept of redemption through primitive, abstract forms, yet its biomorphic shapes are characteristic of the new formal language Arp developed by abstracting elements from the natural landscape. It belongs to the remarkable series of painted reliefs that signalled his return to figuration in the 1920s – he turned to a simplified figurative style and a new iconography of faces and objects to create critical and humorous images. 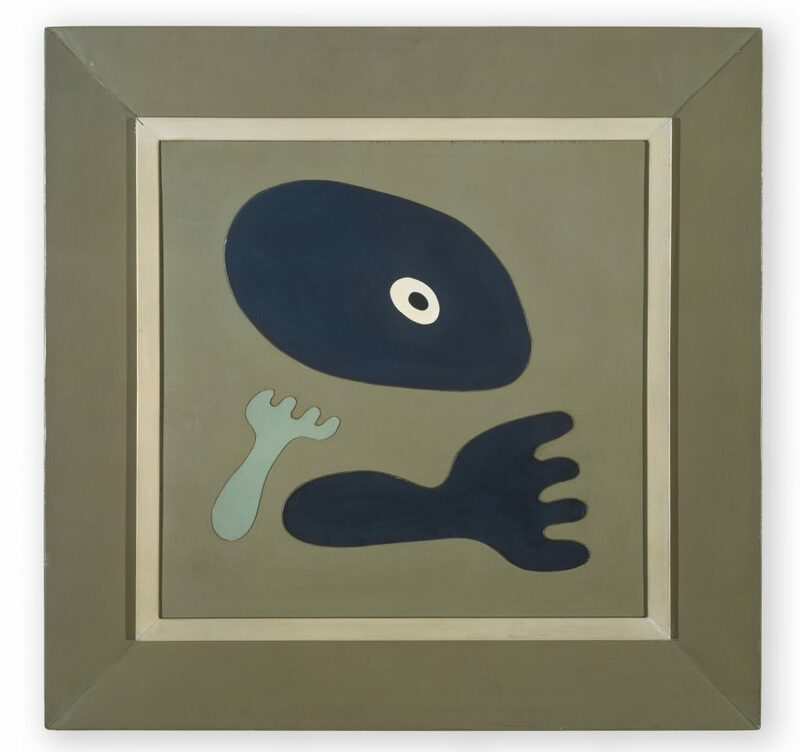 Arp often focused obsessively on one body part such as a nose or moustache – or in this case, a navel – to the extent of overwhelming the perception of the entire figure. In attacking human folly directly, through parody or objectification of the body, Arp adopted Dada’s embrace of the irrational and absurd. ‘Untitled. 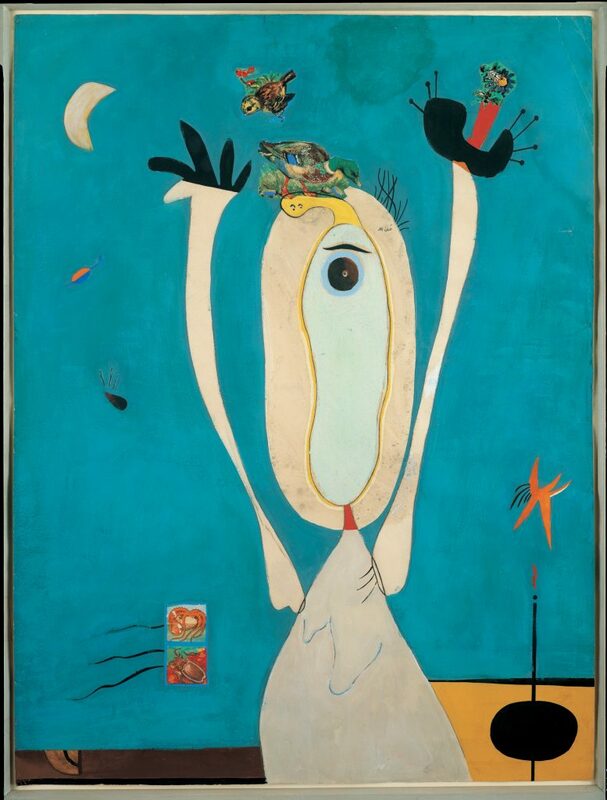 Drawing-Collage’ (1933) is from a series of outlandish and poetic collages that mark a period of fervent experimentation in Miró’s career. Interlaced lyrical and biomorphic figures drawn in fine pencil are punctuated with outmoded and eclectic imagery in the form of old postcards, newspapers scraps, anatomy albums or art nouveau motifs. 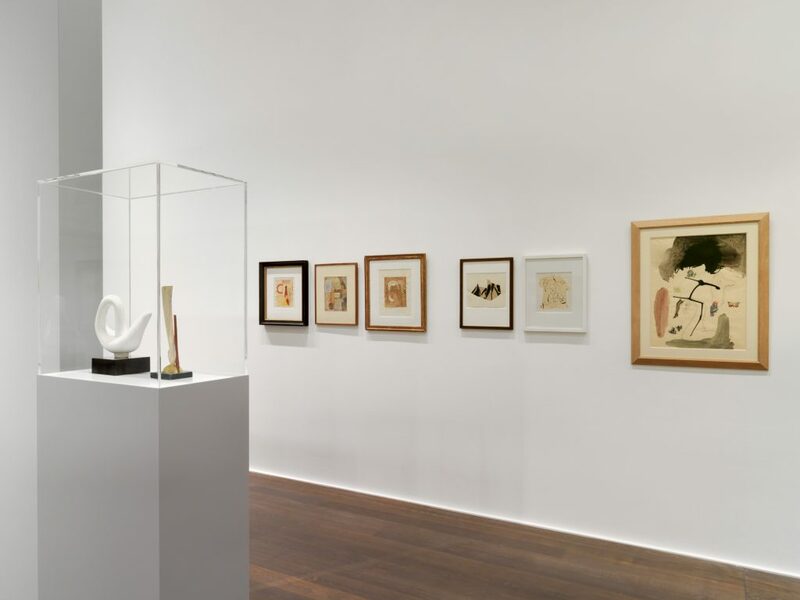 The meeting of instinctive, delicate line and crude imagery lend the works a distinct sense of humour in accord with the Dada sensibility. 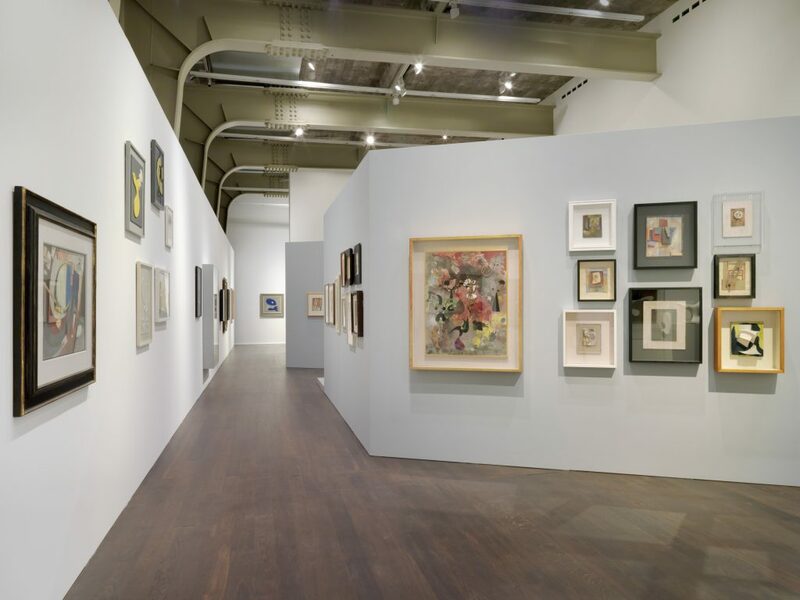 Belonging to Schwitters’ series of constructed relief paintings created between 1919 and 1921, ‘Untitled’ (1919) is a kaleidoscopic accretion of humble, found material that speaks to the flux of contemporary society. The scraps and detritus are subjected to an organising principle resembling the strong diagonals and logic of Analytic Cubism, thus transforming the diverse components into formal elements and giving a sense of order to the chaotic fragments of modern industrial life. The exhibition is curated by art historian Dr Dieter Buchhart, who has organised seminal exhibitions on major figures such as Jean-Michel Basquiat, Georges Braque, Otto Dix, Keith Haring, Edvard Munch and Andy Warhol in renowned museums such as Albertina, Vienna, Austria; Fondation Beyeler, Basel, Switzerland; Guggenheim Museum, Bilbao, Spain; Musée d’Art Moderne, Paris, France and De Young Museum, San Francisco CA. © Successió Miró / 2016, ProLitteris, Zurich. 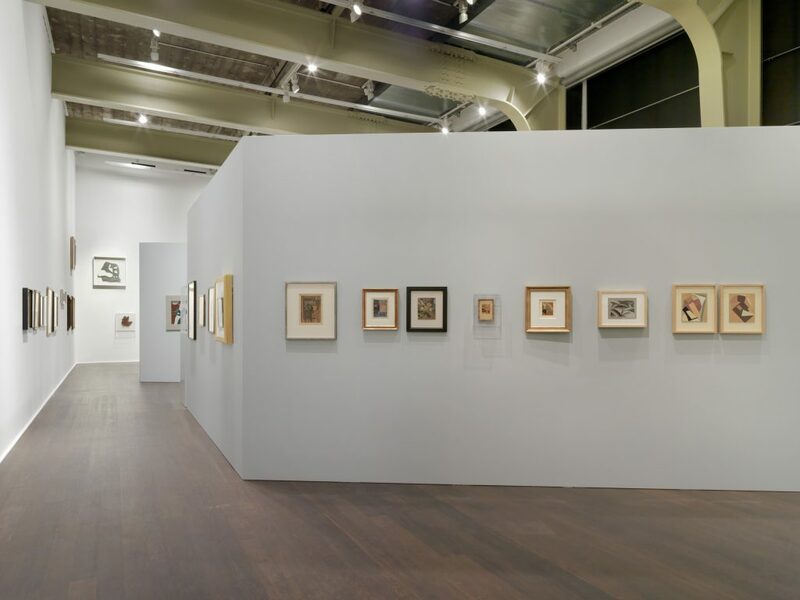 Courtesy the Kurt and Ernst Schwitters Foundation, Sammlung Deutsche Bank and Hauser & Wirth. 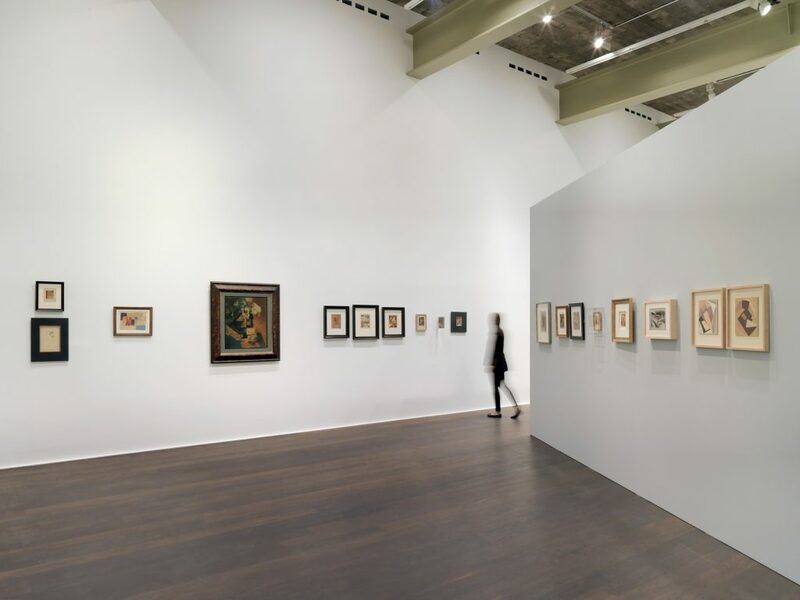 Courtesy the Kurt and Ernst Schwitters Foundation and Hauser & Wirth. Foundation DNB (on deposit at Henie Onstad Kunstsenter, Hövikodden, Norway) and Hauser & Wirth. Courtesy Collection Van Abbemuseum, Eindhoven, Netherlands and Hauser & Wirth.